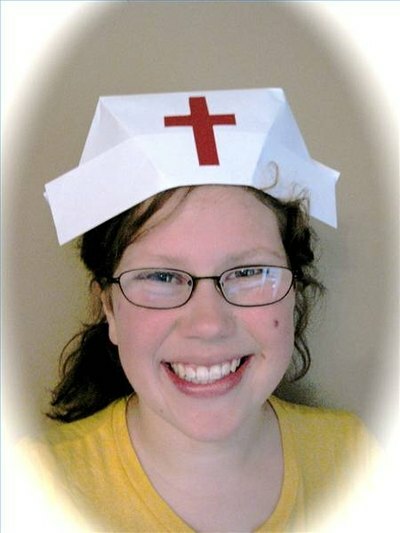 Being able to fold a nurse's hat is a quick way to create a Halloween or work party costume. All it takes is some paper and a few basic steps. 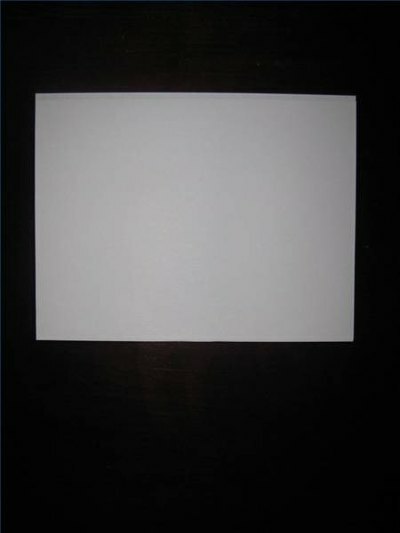 Attach two pieces of 8 1/2-inch by 11-inch white paper together along the short edge. 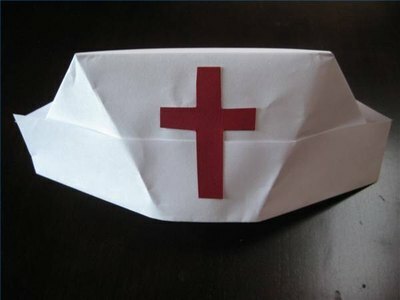 This can be used for a child- or adult-sized hat. 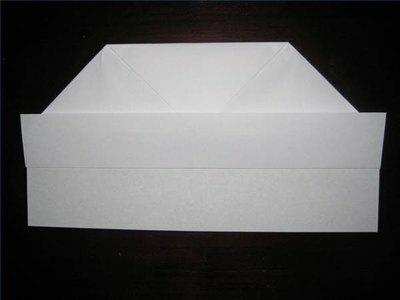 Fold paper in half, having the folded edge at the top. 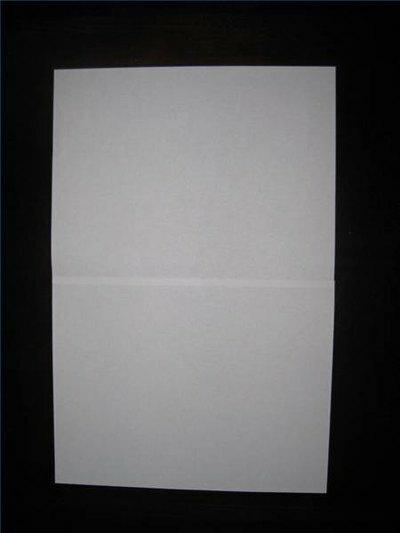 Find the center of the paper; fold the upper-right-hand corner down along the center, leaving about a 2-inch border along the bottom. Repeat with the upper left hand corner. You should end up with a triangle and a 2-inch border along the bottom edge. 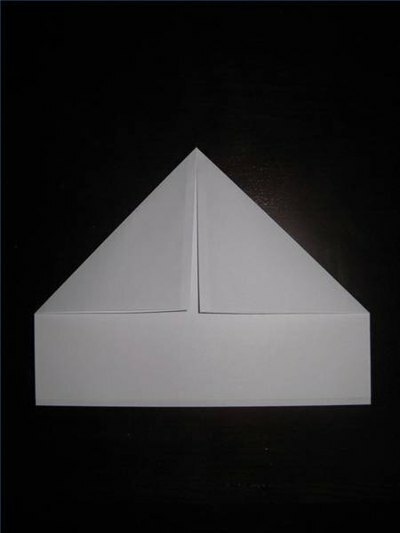 Fold the tip of the triangle down to meet the edge that was formed by the triangle piece. You should still have a 2-inch border along the bottom edge. You may glue this piece down, if desired. Grabbing the bottom edge of the top layer only, fold up the 2-inch border. Turn the hat over and repeat on the other side. 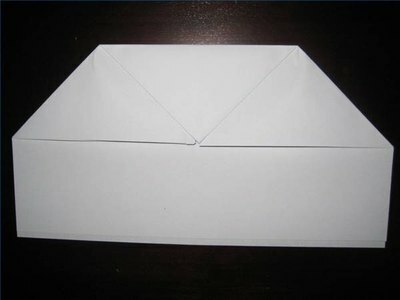 Open the hat, manipulating it gently to shape it and form light creases. Embellish the front, as desired. Try experimenting with newspaper before hand. Material that has been starched may be used, but it will require light sewing to tack the folds into place.